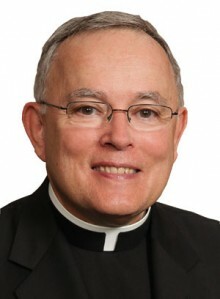 Archbishop Charles J. Chaput released the following statement Nov. 17 from Rome regarding Pope Francis’ announcement that he will attend the conclusion of the 2015 World Meeting of Families in Philadelphia in September 2015. This moment is an historic and exhilarating one for all of us to share. It is the answer to the countless prayers of so many people who have asked God to guide Pope Francis to Philadelphia, the culmination of many months of hopeful anticipation, and the fulfillment of my own confidence that the Holy Father would grace us with his presence next year. It will mark his first ever visit to the United States of America as pope and he will be only the fourth pope to visit our nation. Words cannot sufficiently express how overjoyed I am by this most welcome news and I know so many of you share that feeling. These are the kinds of emotions that have one source—the true love of Jesus Christ filling our hearts. A hallmark of Pope Francis’ ministry has been a genuine love for all people of good will and he has maintained a keen focus on the many diverse challenges that families face globally. I’ve loved and admired him since we first met at the Synod for the Americas in 1997. I know that the Holy Father’s charisma, presence and voice will electrify our gathering. Regardless of confessional differences, billions around the world have been drawn to this pope. Our gathering in Philadelphia is open to all who have a generous heart. It has the power to transform, in deeply positive ways, not just the spirit of Catholic life in our region, but of our entire community. It will be a moment unlike any other. I’m sure there are empty nesters who would gladly share their home with families for the WMF in September. There should be a website for the same. We are unable to help because we are elderly and living in a retirement community apartment. I would love to help house some people if I am still here. I might be moving I will ask around and see who can help. Yes, what a wonderful event it will be. However, as a family with 5 small children, paying basic registration of over $500 then adding on meals and hotel rooms (we will need to split rooms because none of the hotels chosen will fit 7 people in one room…that leaves one spouse in each room with several little ones) the cost will be close to $2000! Once again I am left shaking my head over the Church, which I love deeply, shutting out large families who are trying to bring their children to witness such faith-filled events. The planners have made this anything but family-friendly. It should be called “World Meeting of the Families as long as your family consists of 5 or fewer people”. I congratulate you on being open to life and generously welcoming 5 children into you and your spouse’s lives. However, I think that you are being rather unfair and unrealistic in your assessment of the cost. Except for the grace of God, nothing is free in this life. WMF is a big deal which will cost a tremendous amount of money to run. It is only natural that the participants will have to bear a significant amount of the cost.